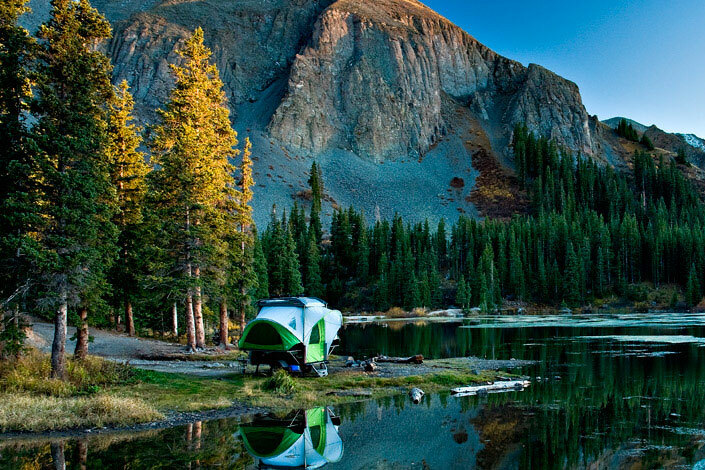 Glamping has its luxe perks. But there’s something to be said for old school camping. No five-star tents and butlers serving boeuf bourguignon and Bordeaux. Just you and nature. But there’s no reason to rough it. 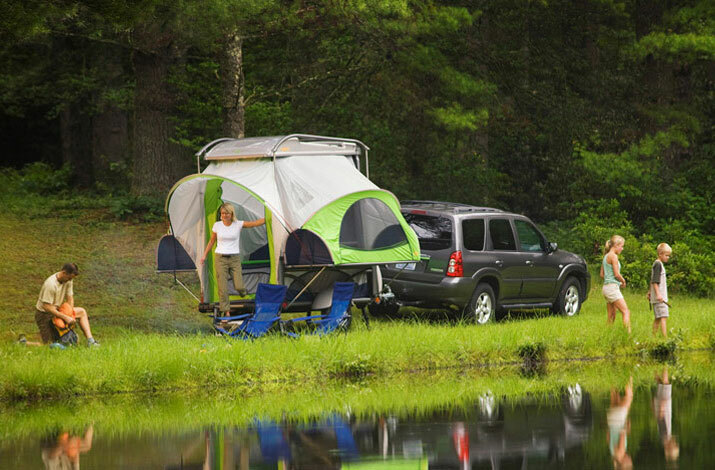 Check out the compact, ergonomic SylvanSport GO camper. 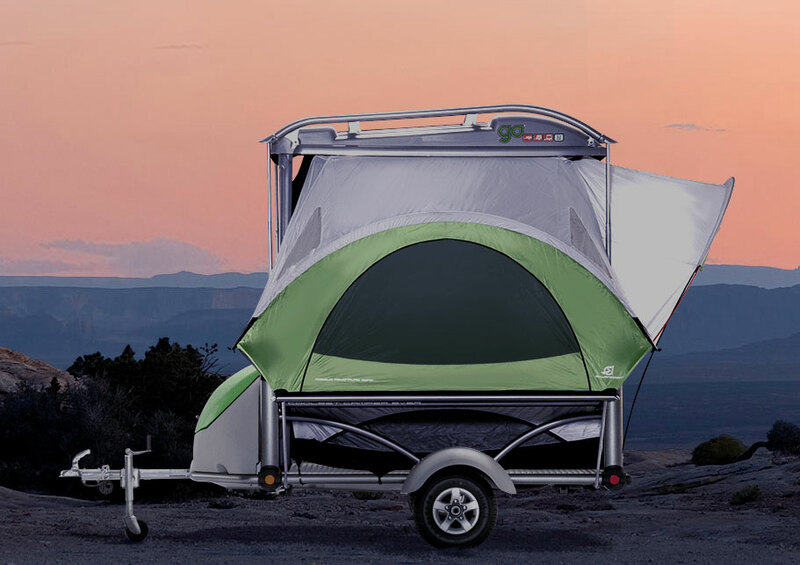 It’s basically a tent on wheels that can be towed by even a Hybrid or Mini Cooper. While loaded down with seven bikes. Or a boat. 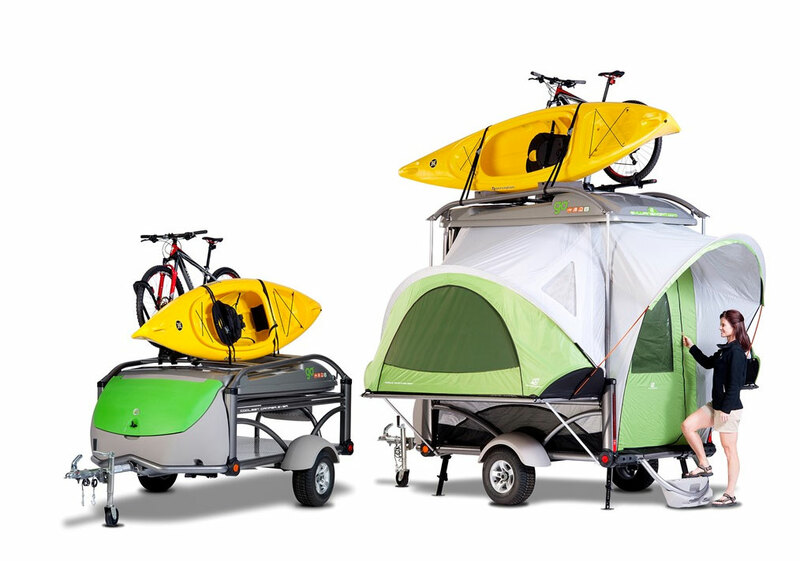 The compact pop-up camper with its tig-welded aluminum frame is super lightweight at less than 850 pounds. 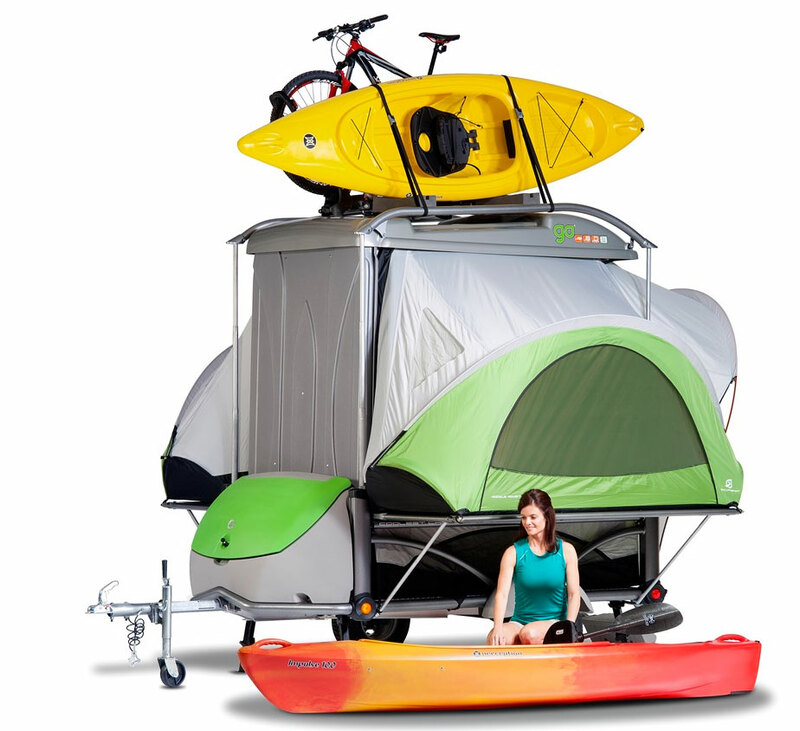 Yet it can schlepp all of your gear, from surfboards and bikes to kayaks and skis. 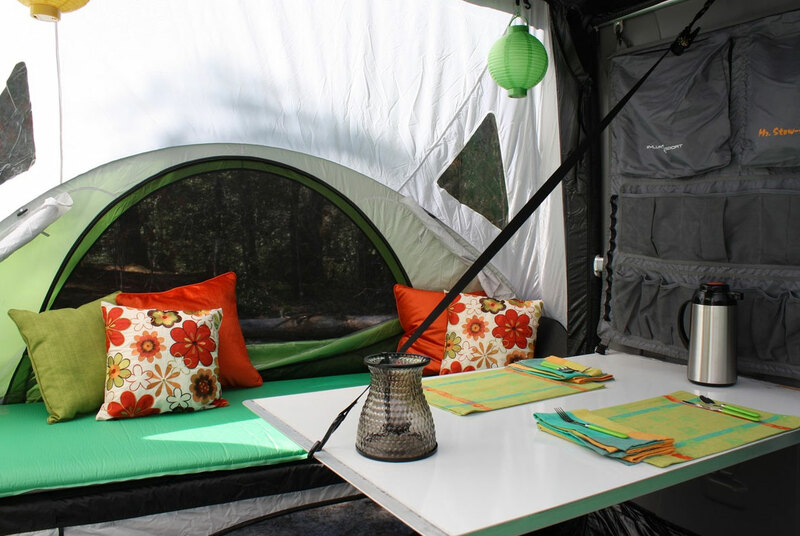 Its weatherproof tent component is #KeltyBuilt and unfolds easily into a comfortable interior space with a storage unit, table, beds, stair step and more. It’s like sleeping in the elements but minus the uneven, knobby surfaces and little rocks that keep you awake after the campfire has died down and it’s time to call it a night. 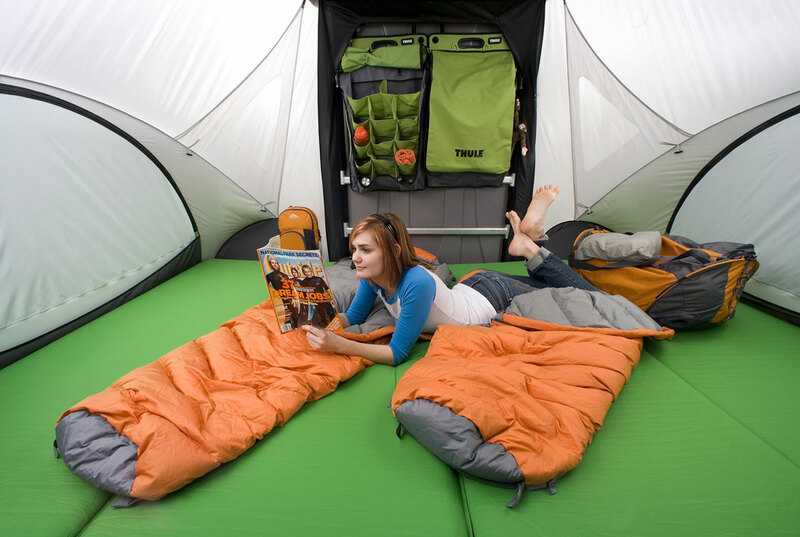 Instead, you get comfy mattresses off the ground. Yet the walls and materials of the tent are so light that you’re still bonding with nature and all of its smells and sounds. As simple and user-friendly as the SylvanSport GO is for the outdoors enthusiast, a lot of complex and ingenious thinking went into its creation. Without getting too technical, here are some of its tech sheet features: Low profile design for minimum drag and super fuel efficiency; Torsion suspension for smooth load control; Control-Tilt cargo bed with pneumatic dampening system; Waterproof electrical system suitable for use as a small boat trailer; Multiple configurations for carrying gear; Six different interior configurations, including a King and a half sized bed. 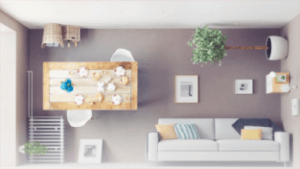 – 4 Self inflating mattresses – GO sleeps up to 4 on a King-and-a-half sized bed. The one thing the SylvanSport GO won’t do is ask your boss for a couple days off. Or build a fire. That’s still your job.